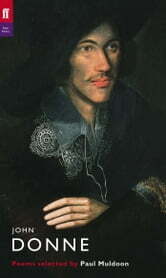 John Donne (1572-1631) forfeited his Parliamentary seat and was briefly imprisoned when his secret marriage to Ann More was uncovered in 1601. He spent the subsequent decade in poverty, trying to rehabilitate his reputation. He entered the Church in 1615, and become Dean of St Paul's. His first volume of poetry was published posthumously in 1633. In this series, a contemporary poet selects and introduces a poet of the past. By their choice of poems and by the personal and critical reactions they express in their prefaces, the editors offer insights into their own work as well as providing an accessible and passionate introduction to some of the greatest poets of our literature.